Gambling companies continue to dominate Premier League clubs’ main shirt sponsorship deals in 2017/18, with almost half of England’s top flight clubs sporting the logos of betting and online gambling companies. The number is slightly fewer than in 2016/17, though two of the promoted sides from the Championship have signed new shirt sponsorship deals with online gaming companies which come into effect from next season: Newcastle United with Fun88 and Huddersfield Town with OPE Sports. There has been a remarkable rise in the number of sponsorship deals with betting companies since Fulham became the first Premier League club to venture into the market in 2002/03 when they signed a deal with Betfair, as research undertaken by @Spurs_US on Twitter has shown. The latest statistics from the Gambling Commission show that the total gross gambling yield between October 2015 and September 2016 was £13.8 billion, while even in 2012 the numbers of people gambling through mobiles was increasing by 75% year on year. Even away from shirt sponsorship deals, betting is now an inseparable part of the matchday experience for supporters. 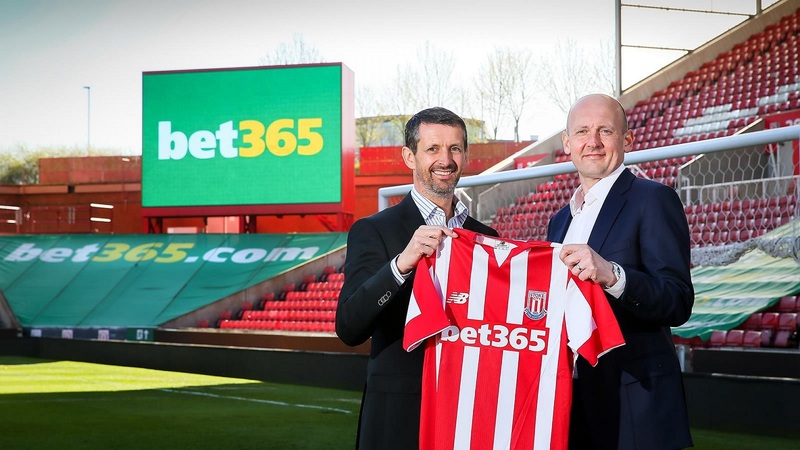 It is impossible to avoid betting adverts for the likes of bet365 (sponsors of Stoke City) while watching Premier League games on Sky Sports or BT Sport, while grounds are covered with advertising hoardings with gambling companies’ logos. 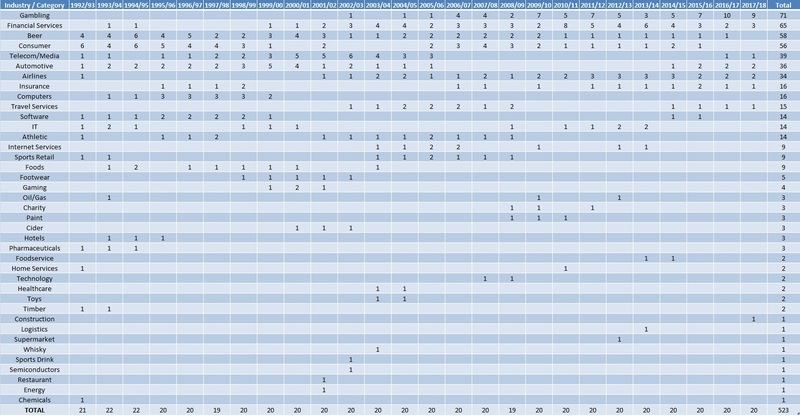 The Premier League sponsorship market has not always been so dominated by gambling though. In fact, 2017/18 will be the first season since the Premier League was established in 1992 in which no team will be sponsored by a beer company. Liverpool famously had a long-running sponsorship deal with Carlsberg until they were replaced with Standard Chartered, leaving Everton as the only remaining team sponsored by a beer company. 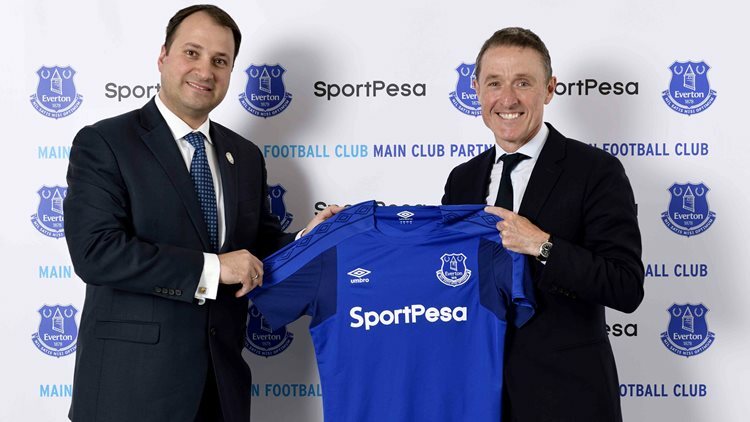 Their deal with Chang ran out this summer, and although the Thai brewery were replaced by African betting firm SportPesa as the Toffees’ main shirt sponsors, they remain linked with the club as their community partners. While financial service companies do not offer consumer products in the same way as breweries or consumer electronic companies (the industry with the fourth highest number of sponsorship deals throughout the Premier League), clubs have signed more partnerships with them than any other sector except gambling. 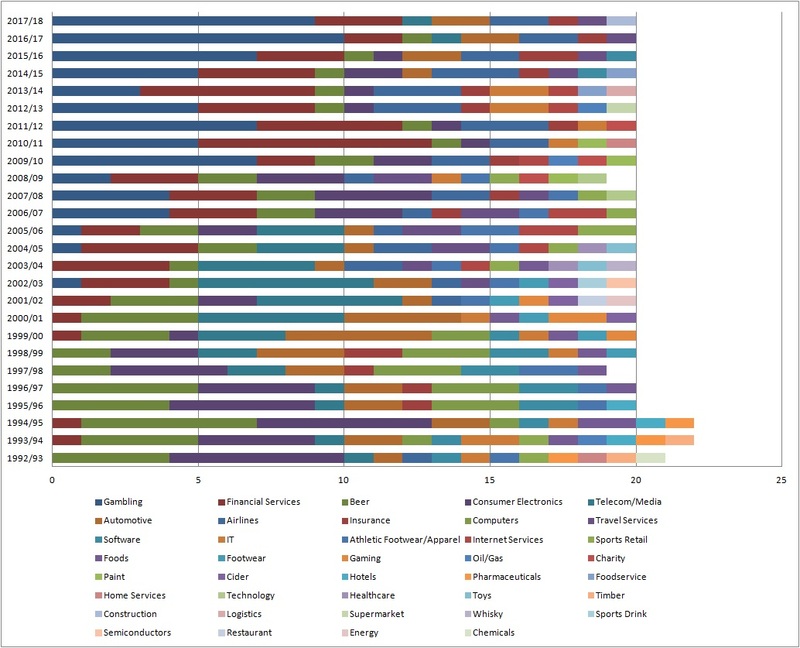 Moreover, the financial services industry has been at least the second-most represented industry every season for the last decade. This season, Liverpool continue their partnership with Standard Chartered, Tottenham Hotspur with AIA, and newly-promoted Brighton & Hove Albion with long-term partners American Express. Beer is not the only industry that has seen a decline in sponsorship deals over recent years. While the world becomes increasingly digitised and reliant on technology, paradoxically electronics and computer companies have fallen by the wayside on the Premier League scene – no computer manufacturers have signed a new sponsorship deal since 2000. Consumer electronics brands, in particular, were the most popular sponsors in the Premier League’s first season, with six of the 22 (as it was then) teams sporting brands such as JVC (Arsenal), Sharp (Manchester United) and Commodore (Chelsea). 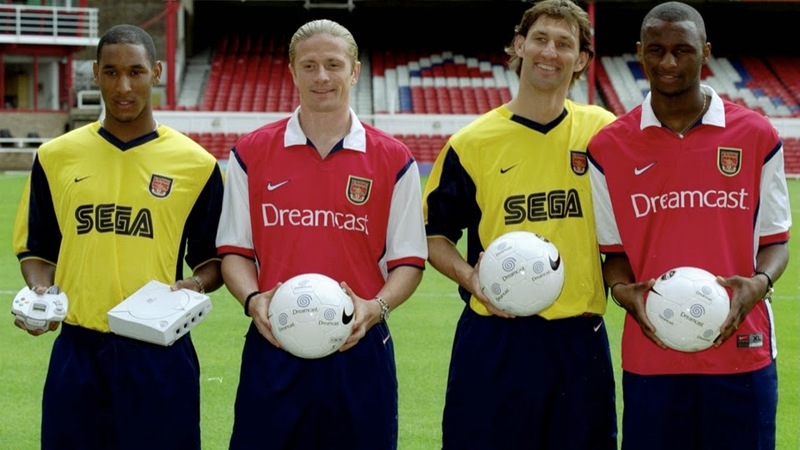 The turn of the millennium saw a sharp decline in the number of deals though, with SEGA‘s sponsorship of Arsenal in particular proving to be a costly mistake, and since Southampton’s deal with Veho (replaced by Virgin Media) ended in 2016 no electronics brands have taken the plunge. With ever-more lucrative TV rights deals being shared out among Premier League clubs, sponsorship agreements are likewise becoming increasingly sought after. Last season, according to Sporting Intelligence, the 20 Premier League clubs brought in a total of £226.5 million through shirt sponsorship (up £3.6 million from 2015/16) – more than double the figure in 2010/11 (the first year of Sporting Intelligence‘s sponsorship analysis). Although some may argue against the quality on the pitch in the Premier League, there is no doubting its commercial strength. Editor of asroma.co.uk since 2011. Passionate about Roma, Newcastle United and all things historical.